Carlos J. Martinez says there is a huge difference in the way rich and poor defendants are treated in misdemeanor cases. “All too often, an initial arrest is the start of a downward cycle for the poor,” said Martinez, who has served as Miami-Dade public defender since 2009. Martinez says socio-economic issues like poverty, lack of education, difficulty in getting a job and mental health problems often precede an arrest – particularly in Miami-Dade County, whose poverty rate of 9.2 percent is the highest in the state. Even before becoming the nation’s first elected Cuban-American public defender eight years ago, Martinez has tried to keep young adults out of the criminal justice system and find alternative solutions for first offenders. Martinez’ volunteer initiatives include “Play It Smart,” which teaches young people how to interact with law enforcement officers; and “Consequences Aren’t Minor,” which educates teenagers and adults about the consequences of illegal behaviors and arrests. His Juvenile Justice CPR (“Charting a Path to Redemption”) is a legal reform initiative designed to help troubled kids achieve the American dream. Martinez adds that the civil citation process has worked well for Miami-Dade juveniles who get into fights or are apprehended for misdemeanors on school properties. “That has helped address the unequal treatment of minority children,” he said. A native of Cuba, Martinez arrived in Miami on a 1969 Freedom Flight. He learned the importance of hard work at an early age, as he would mop floors at St. John Bosco Catholic Church in Little Havana, where his father Celedonio worked as a maintenance man and his mother Yara was the church’s receptionist. Martinez credits his parents for his passion for social justice and for helping the poor. “By serving as public defender, I’m honoring my mother and father’s values and the sacrifices they made for us to live and prosper in a free country,” he said. At the age of 16 while still in high school, Martinez was hired as a car wash attendant at a Miami Exxon station. Within three years, he was managing six gas stations in Miami-Dade and Broward counties, working full-time to pay for his undergraduate college education. Martinez attended Miami Dade College and graduated from Florida International University with a bachelor’s degree in political science. He then enrolled at the University of Miami School of Law, earning his juris doctor in 1990. Martinez would end up interning six semesters at the Dade public defender’s office, and stayed on after passing the bar. Several years later, he left to become a deputy public defender in Bellingham, Washington, but returned the next year. “That was a wonderful experience for me, but it was way too quiet compared with Miami,” he said. 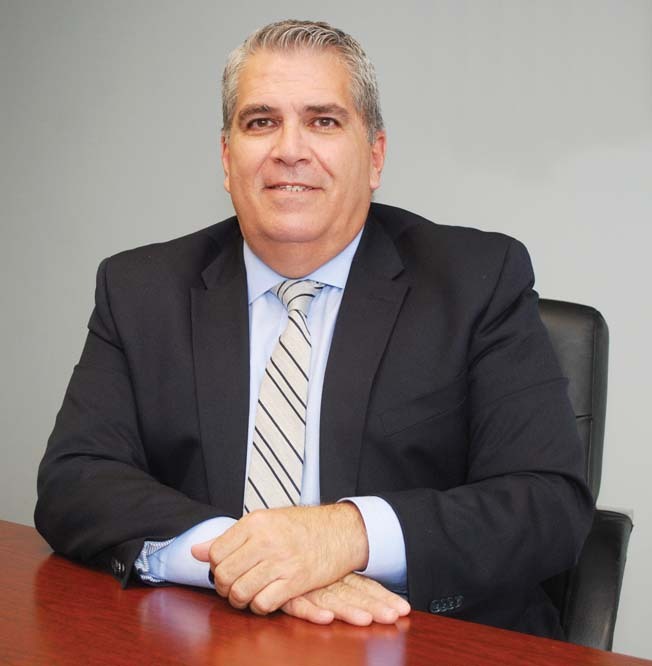 In his fifth year with the public defender’s office, Martinez moved into an administrative role, and became a leader in state and national juvenile justice initiatives, including The Florida Bar’s Commission on the Legal Needs of Children, the Supreme Court of Florida Steering Committee on Drug Courts, and the National Institute of Corrections’ National Advisory Committee on Evidence Based Decision Making for Local Criminal Justice Systems. In 2006, he received the Florida Public Defender Association’s prestigious Craig Stewart Barnard Award for Outstanding Service — one of many awards and honors for his service. More recently, Martinez contributed a chapter on helping adolescents succeed for “A New Juvenile Justice System — Total Reform for a Broken System,” a book published in 2015 by New York University Press. During the state’s budget crisis from 2008-2010, Martinez also recruited pro bono lawyers from Miami’s private law firms. “We appreciate the way the Miami-Dade legal community rallied around our office and provided assistance in that time of need,” he said.